Just hours after a disappointing race in Monterrey, I decided to deviate from my season plan with the last minute addition of IRONMAN 70.3 Victoria. The only two other times I’ve impulsively added races both led to wins (IRONMAN 70.3 Ecuador & Challenge Aruba), so I went with my gut. Monterrey had shaken my confidence, but I had to trust that the fitness I was demonstrating in training hadn’t gone anywhere. After a punchy little training block, I was in an excellent headspace leading into Victoria. Traveling with my friend, training partner and fellow Guelph-based pro, the ever upbeat Taylor Reid, also had me in good spirits. I put together one of the best races of my career in Victoria, claiming my first win on home soil! 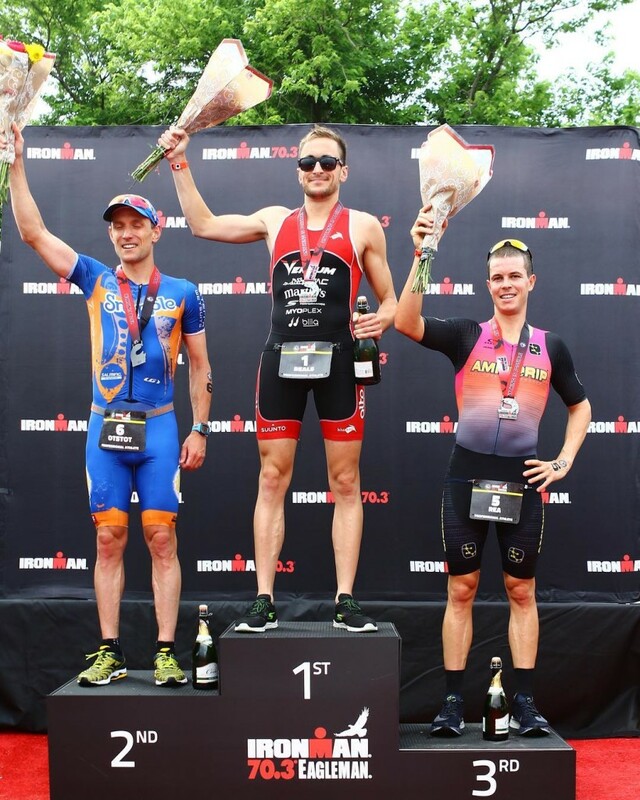 I had just a week to recover after Victoria before going after my third win at IRONMAN 70.3 Eagleman, one of the most historic triathlons and the site of my first pro win in 2015. 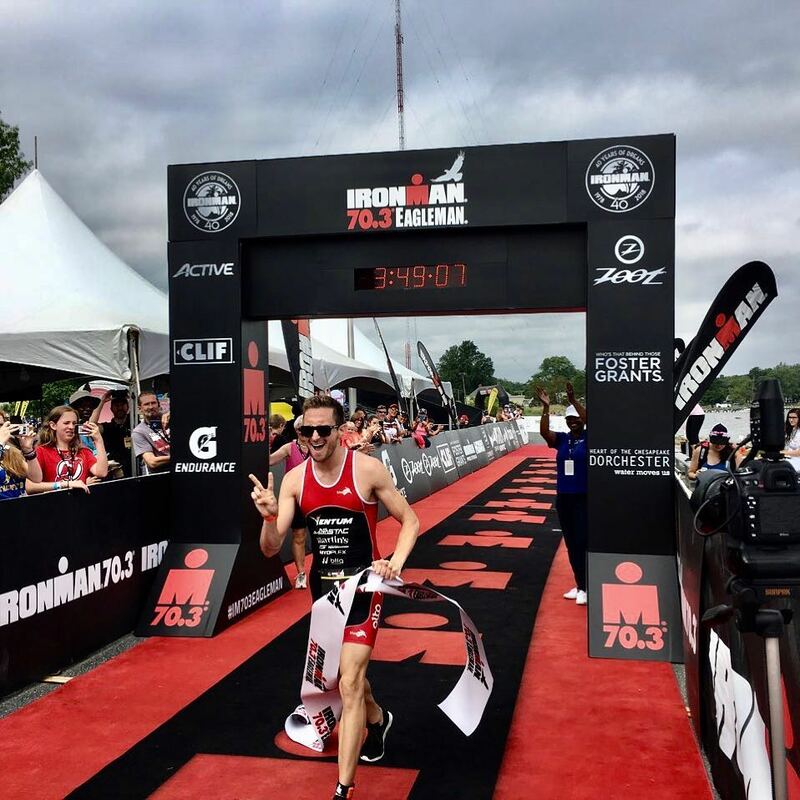 I’ve attempted back-to-back 70.3 races twice before and gained a better appreciation for the delicate balancing act of recovering yet staying sharp, all while traveling and managing other commitments. 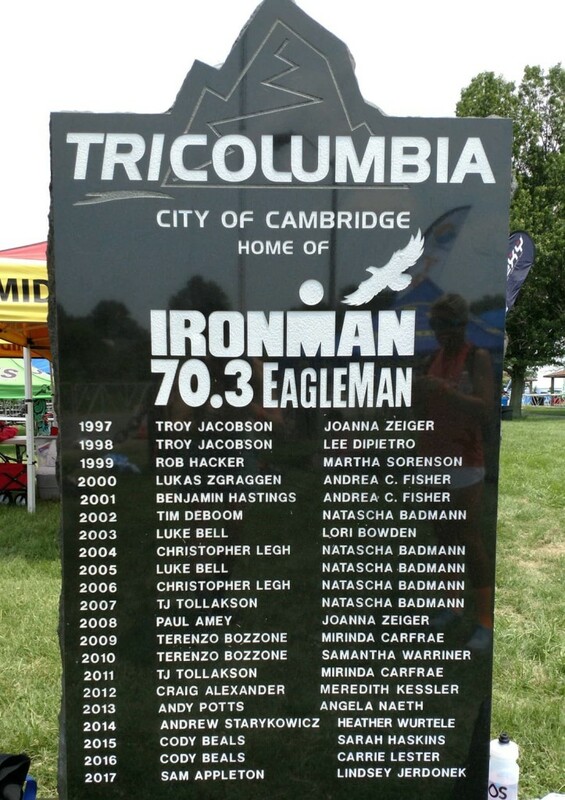 Unlike Victoria, I felt a good deal of pressure as my two previous wins at Eagleman painted a target on my back. The race was mine to lose! A relatively comfortable run the week before in Victoria had spared my legs and I once again found some of my best form with a dominant win. Back-to-back wins at #IM703Eagleman & #IM703Victoria!✌️Over the moon to take my third win at Eagleman & my third @ironmantri 70.3 win of 2018! It took another one of my best swims, a 2:03 ride on my @ventumracing optimized by @stac_performance @altocycling @pioneercycleusa @slfmotion & a race best 1:16 run to seize the lead in the @skechersperformance_canada GOmeb Speed. Stay tuned for my video recap & the winner of the @easmyoplex @myoplexendurance contest. A huge thank you to all the supporters, volunteers & the city of Cambridge for rallying behind this special race.